"Seriously light with serious firepower. 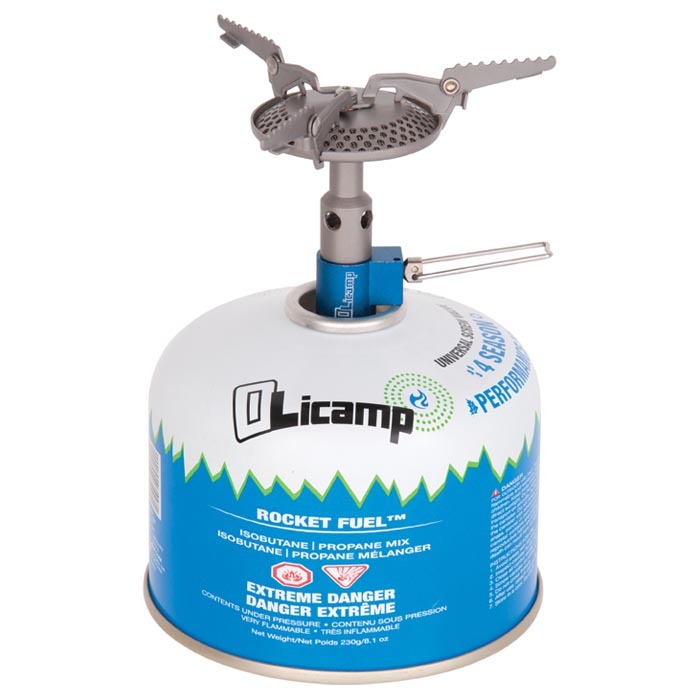 The large burner, pot supports and the gas stem are all made of ultralight titanium. With its wide titanium burner the Olicamp Kinetic is as versatile a stove as it is light. The machined aluminum valve shaves weight and is easy to grasp even with gloved hands. This amazing little stove comes with a polycarbonate carry case for transport or storage. Convenient canister fuel eliminates the need for priming or pumping. Fits universal screw-on valve canister fuel of Butane/Propane mixtures. Fuel Type: Canister (fuel sold separate) "